I will publish an article only when I have something important to say. That’s what I reminded myself every time the egocentric ‘me’ wanted to publish more often and be the center of attention. It wasn’t easy to resist. As I watched new personal brands gain popularity on a growing platform like Medium, it felt like I was about to miss a train I would never catch again. I constantly felt the pressure to publish more — after all, I had to make use of all those followers. On one hand, the personal brand ‘me’ couldn’t let go of his ego and wanted to spend more time publishing content on my personal Medium blog. But the freelancer ‘me’ had bills to pay and work to do. And I realised early on that spending all your time blogging or building a personal brand wasn’t the only way to make a living on the internet. After all, most of my blogger friends were broke and busy giving-giving-giving so they could ask for a sale one day in the future. I realised I could step off this personal brand stage and make a silent living behind the scenes — by getting my hands dirty growing the blogs of my clients instead. The more I focused on helping my startup clients to grow, the more firsthand lessons I learned. And every time I learned something through that experience, I logged on to Medium and published a new story. The relationship between how often you publish and how much traction you get is an interesting concept. But more on that in a minute. Let’s start with the bigger picture. But do you really have to blog in the first place? Answering this question is crucial as it also helps you understand what type of growth you can get from content and how fast that growth will be. 1. Should you really start a blog? Some people will try to scare you about how cluttered the world of blogging is today, but only a few will mention what’s probably the best thing about content: the slow and compound return. That’s likely because not everyone has the patience or guts to do the hard work necessary to see what happens when you keep up with publishing after a few months. Content is a long game and it isn’t for those who quickly lose their interest and jump on the next ‘killer growth hack’ to ‘skyrocket’ their growth by ‘286%’. Even if they wanted to stick with it, their mindset often is geared towards finding hacks or shortcuts. Little do they know that if they put the same amount of effort into storytelling, they would never need any of that. Take Inside Intercom, the blog of one of the fastest-growing startups today. Even if your first few articles are smash hits, you won’t benefit immediately, and you won’t be able to measure how much value you’ve created in the short term. Are you looking for smash hits or are you here to deliver consistent value, build trust and long-term relationships, and create awareness? If you blog to play the long game, you may watch some of your articles go viral down the road. But if you blog to go viral, you might watch your entire blog go down the hole. And the real magic of content happens when this slow return takes the form of a compound one — one that grows thanks to the incremental gains it earns along the way, even if you started small. 1. 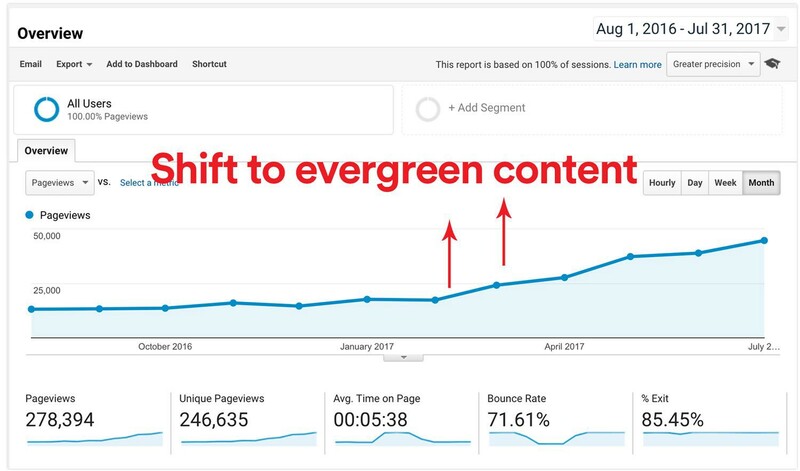 Evergreen content: Content that is as valuable today as it will be in the future. In other words, articles that will always remain interesting for your audience. 2. Temporal content: Content that is relevant just for a limited time, e.g., a post that covers Apple’s launch event or the solar eclipse. 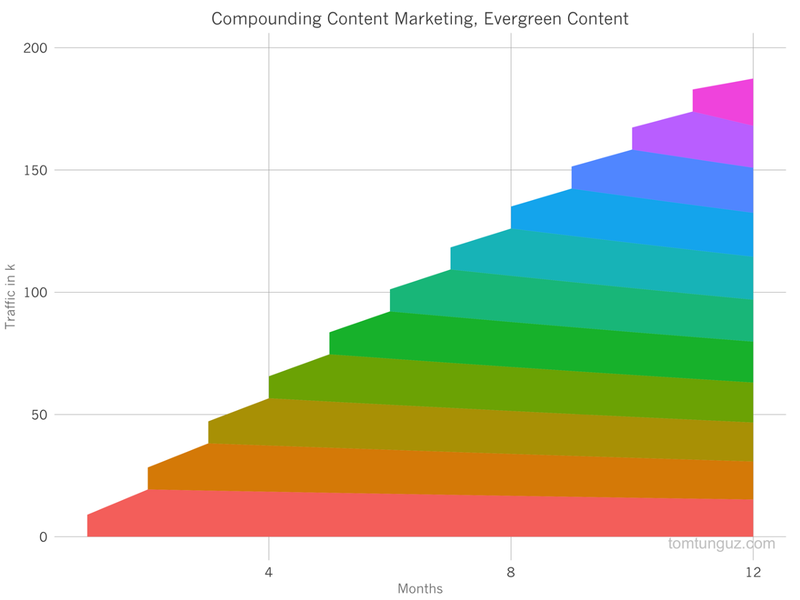 To achieve compound return, should you publish evergreen or temporal content? 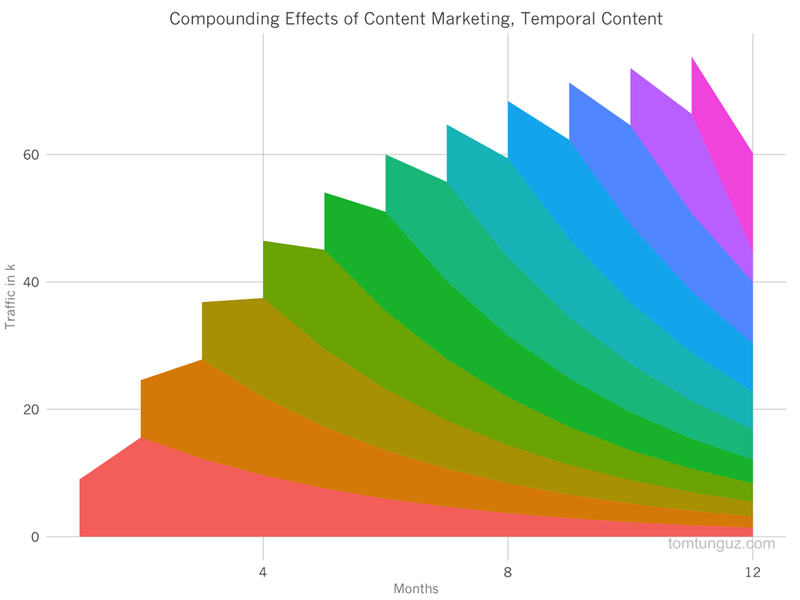 “While it may not generate long term returns, temporal content keeps blogs fresh. But depending on many factors such as your niche or competition, the steepness and timing of the compound return differ. 2. How often shall I publish? What works for others won’t always work for you. And what works for you today won’t always work tomorrow. Those who cut their teeth in the early years of the Web, when 500-word blog posts could win you fame and fortune, will tell you that you could easily get thousands of page views and subscribers just by blogging consistently. Publishing quality content every single day is no easy feat, especially if you don’t get others to ghostwrite for you. Marketing legend Seth Godin publishes every single day and he knows what it takes to deliver such quality consistently. That’s why he doesn’t spend time managing his Twitter account even though he has +620K followers there. Instead of being mediocre at both, he’ll tell you how, early in his career, he chose to be really good at blogging and gave up on Twitter. Things change if you’ve got the resources, though. Thanks to its army of writers, Hubspot publishes several times a day. A few times a week? You can always start with your bare minimum and scale up your publishing frequency later. It took Intercom four years to go up to being able to publish QUALITY content five times a week. But sometimes increasing frequency will mean a drop in the quality. The Buffer team decided to go down from publishing fives times a week to two times a week after they found that their standards were dropping. A few times a month? Just because others publish a few times a week doesn’t mean you have to. One of today’s top startups, Ahrefs, focuses entirely on quality and publishes only a few times a month. According to their marketing head Tim Soulo, this strategy has been their number one growth driver to date. Backlinko’s Brian Dean publishes almost once every two months and it made him one of the top players in the SEO game today. For my personal blog, I can bring together a post I’m happy with only once every few months, yet I couldn’t have asked for a better strategy to bring me a constant stream of freelance clients. Publishing often is easy. Publishing quality content isn’t. Yet delivering top-notch quality remains the most powerful way to cut through today’s cluttered webspace. Instead of copying what worked for others, start by determining how often you are able to bring together a QUALITY piece. You can always scale up or down depending on how your audience and market respond. And unless you have an army of writers, make sure to consider what other things you need to be good at instead of being mediocre at everything. 3. How long should my articles be? With Appster, we’ve been testing publishing long-form posts on my Medium publication, The Startup. And this lengthy approach has helped us to quickly go from a few hundred visitors in May to almost +150K monthly Medium readers in August. Those like us who found success with long-form posts will advise you to go heavy on the length, but don’t often mention the worrying percentage of people who never read your content to the end. How long does it take me to get to the heart of my topic and leave an impact? “… if you seek to make a difference, shorter isn’t what’s important: Dense is. Density is difficult to create. Too much and you’re boring. Not enough and you’re boring. The formula is simple to describe: make it compelling, then deliver impact. Repeat. Your speech can be two hours long if you can keep this up. And if you can’t, make it shorter! It takes M.G. Siegler roughly 500 words to get his point across. How long does it take you to get to the heart of your topic and deliver impact? 4. Where shall I blog? 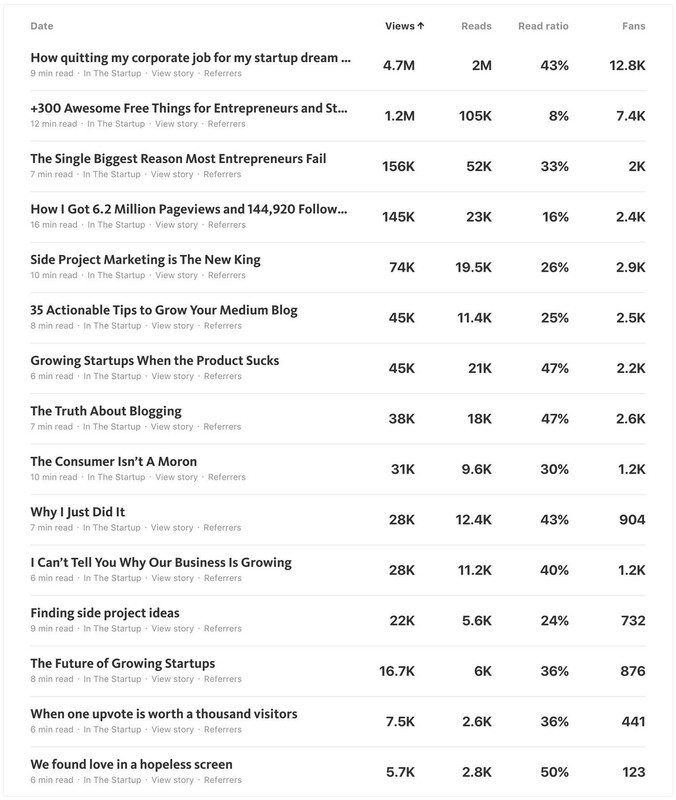 In The Truth About Blogging, I wrote 1,573 words to compare blogging on a self-hosted blog with blogging on a platform such as Medium, Quora, or LinkedIn. Choosing whether to publish on your own WordPress blog or on Medium is not a zero-sum game. The nice thing is, you can blog on both. Very few people know I also have a WordPress blog and publish my articles on it first. This way, while my WordPress blog gets all the SEO traffic, I use Medium’s built-in audience to take advantage of additional traffic sources and grow my email subscribers so I can take them home if Medium decides to close shop one day. As soon as you publish your article on your WordPress blog, submit it to Google and Bing to ensure search engines index it. You can then cross-post to Medium either using Medium’s WP plugin or the import feature. Both options will make sure your Medium story has a ‘canonical tag’ that will link back to your WP version so Google won’t punish your site for duplicate content. Once done, I send all my subscribers and followers to the Medium version of my stories, not the WP. The reason I do this is because I try to drive as much initial traffic as I can to Medium since it heavily increases your chances of unlocking new Medium traffic channels: rising up on featured tag pages, getting featured by Medium staff, ending up in more newsletters sent by Medium are a few examples. This multiplier effect is what makes this platform so powerful. But while cross-posting to Medium is smooth, many platforms like Quora or LinkedIn don’t allow canonical tags. As a solution, some people wait for a few days before cross-posting just to make sure Google indexes their WP version, and others cross-post only parts or slightly tweaked versions of their work to make it look like a brand-new post. 5. What do I do with the traffic? Page views can easily become a vanity metric if you don’t have a goal or are not clear on what to do with that traffic. Turning your blog traffic into followers or subscribers is great, but reconnecting with them to let them know about your next article is getting increasingly difficult. Though we like to call subscribers or followers as ‘assets we’ve full control over’, the gatekeepers such as Google and Facebook continue to update their algorithms to decide what we all see. As a result, the organic reach on social networks like Facebook keeps hitting record low rates and an increasing number of email campaigns now end up in the Gmail spam folder. An alternative way to make sure your content actually reaches your audience is to spend a few bucks on retargeting ads. Thanks to new startups such as Pixelme, it is now possible to build a retargeting audience on third-party sites like Medium. Content is a long game and the rules of the game have changed significantly over the last years. 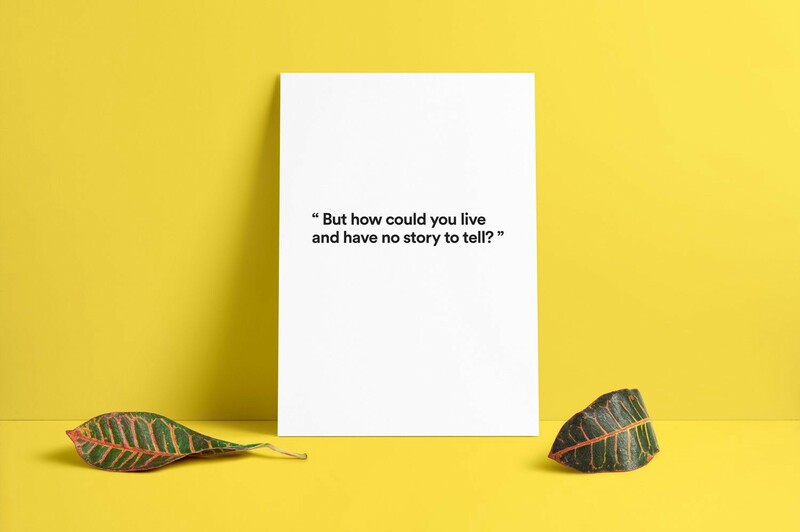 “The tired old practises of soliciting guest bloggers with zero bar for quality, releasing “ultimate guides”, and “top 10 quotes” don’t work well. Before flooding the world with another me-too blog post, reconsider your balance between quantity and quality. It can make a huge difference. And in this new era of content, delivering quality is only one tiny step to building an audience — because we don’t own our audience. In the most cluttered marketplace in history, readers’ attention is fleeting and it is our job as writers to constantly earn the attention and trust of our audience.